Why is it so hard to motivate kids? As parents, we often have a funny, inaccurate belief that our children won’t care unless we twist their arms. But the simple truth is that your attempts to motivate your child are probably working against you. You can’t make your child care just because you do—in fact, you might actually get in the way of their motivation. What’s worse, the push-pull of trying to motivate your child usually turns into a power struggle. There’s something wrong with the picture if you care more about your child’s grades than he does. If you’ve been getting in your child’s “box” and trying to make him care because you do, it’s important to stop and ask yourself this question, “What’s my child’s responsibility here? What’s mine?” If your child isn’t getting his work done, your job as a parent is to hold him accountable and teach him how the real world works. In the real world, if you don’t finish your work, you won’t get paid. 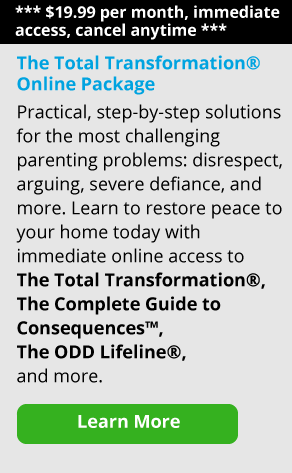 Give consequences to show your child what the result of his poor choices are, but don’t confuse the reason for doing this with thinking you’ll make him care about his math homework simply because you care about it. Consequences aren’t there to create motivation; you give them because you’re doing your job as a parent. The bottom line is that you can’t motivate another person to care. Your role, rather, is to inspire and influence. 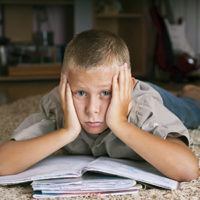 If your child is one of the less motivated, it can be a source of great worry and frustration and sometimes even despair—and that’s where the trouble can begin. The trouble in this case is your reaction to your child’s lack of motivation, not the lack of motivation itself. When you get nervous about him, you try to motivate him from the grip of your own anxiety, and forget that it’s just not possible to make someone care. 2. Be inspiring. The only way to motivate is to stop trying to motivate. Instead, work towards inspiring your child. How do you do that? Be an inspiring person. Ask yourself if your behaviors are inspiring or controlling. Understand that your kids will want to run the other way if you’re too controlling. Think about someone in your own life who is inspiring to you, and work towards that goal. Remember, the only thing you’ll motivate if you’re pushing your child is the motivation to resist you. 3. Let your child make his own choices—and face the consequences. Let your child make his own choices. When it’s a poor choice, hold him accountable by letting him face the natural consequences that come with it. If the consequence of not doing his homework is that the computer is taken away, put the need to get that computer time back in his hands. If he finishes his work, he gets the time on the computer you’ve agreed upon. That will be a motivation for him in the right direction without you telling him what to do, how to do it, and lecturing him on why he should care. As a parent, what you’re actually doing is asking yourself, “What will I put up with? What are my values and principles?” and you’re sticking to them. Which door would you enter? If it’s door number one, then the way to achieve that goal is push, punish, beg, nag, bribe, reward, and cajole. If you decide on door number two, then you’ll reach that goal by asking different kinds of questions. Rather than, “Did you get your homework done?” you might say, “Why did you decide to do your homework today and not yesterday? I noticed you chose not to do geometry yesterday, but you’re doing your history homework today. What’s the difference?” Be an investigator, exploring and uncovering, helping your child discover his own motivations and sticking points.